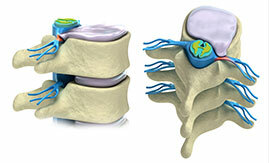 If spine surgery is needed, we have three fellowship-trained neurospine surgeons. Recognizing the national trend toward a Center of Excellence approach for complex health problems, South Carolina Spine Center was created by Self Regional Hospital to improve the way we care for back and neck pain. South Carolina Spine Center emphasizes non-surgical treatment options in advance of spine surgery. If spine surgery is needed, we have three fellowship-trained neurospine surgeons — the highest level of medical education possible. Minimally invasive spine surgery techniques enable many patients to go home the same day to recover in their own home. We have in one location spine surgeons, non-surgical spine specialists, spine therapists, exercise gym, pool, x-rays, MRI, injection suite and the most advanced operating room environment. 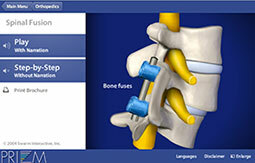 South Carolina Spine Center is designated as a Blue Distinction Center for Spine Surgery® by BlueCross BlueShield. South Carolina Spine Center tracks and publishes a Clinical Outcome Report Card for health insurance companies and physician referral sources. South Carolina Spine Center is also the only spine center in the state of South Carolina to be included in Spine Center Network. Some patients can benefit from minimally invasive spine surgery techniques that shorten the incision, reduce time in the hospital, lessen pain during recovery and speeds return to activity. Self Regional Healthcare began as Self Memorial Hospital in 1951 and was built to be one of the most advanced hospitals in the country and has recruited top physicians from across the country. Click here to visit Self Regional Healthcare located in Greenwood, South Carolina. Join us as we celebrate 20 years of exceptional spine care in the Lakelands region of South Carolina! The Self Regional Healthcare Foundation chose to spotlight the South Carolina Spine Center and Advanced Spine and Neurosurgical Associates for the 2017 Madame Curie event. This short film explores the comprehensiveness of the Self Regional Healthcare spine program, and how donations to the SRH Foundation help provide cutting-edge healthcare technology for Lakelands residents. "What makes South Carolina Spine Center different from other centers is that our physicians are able to use cutting edge technology for surgery." Unlike spinal fusion which locks vertebrae in place, artificial disc replacement enables the surgeon to restore movement to the spine by replacing a damaged disc with an implant that retains the ability to rotate. This can prevent other complications related to a fusion surgery. The spine physicians at South Carolina Spine Center share the same philosophy in that they emphasize nonsurgical treatment options in advance of spine surgery. Non-surgical treatment options are now provided through pain management specialists and spine therapists. Do you need back surgery or neck surgery? For those back and neck pain sufferers who have exhausted nonsurgical treatment options, spine surgery may be the fastest way back to activity. Getting a 2nd opinion will ensure that you are getting the right surgery for you.